We are so excited that spring seems to be right around the corner! We’re finally seeing more sunshine, warmer temperatures, and fewer signs of our ever-lingering winter. 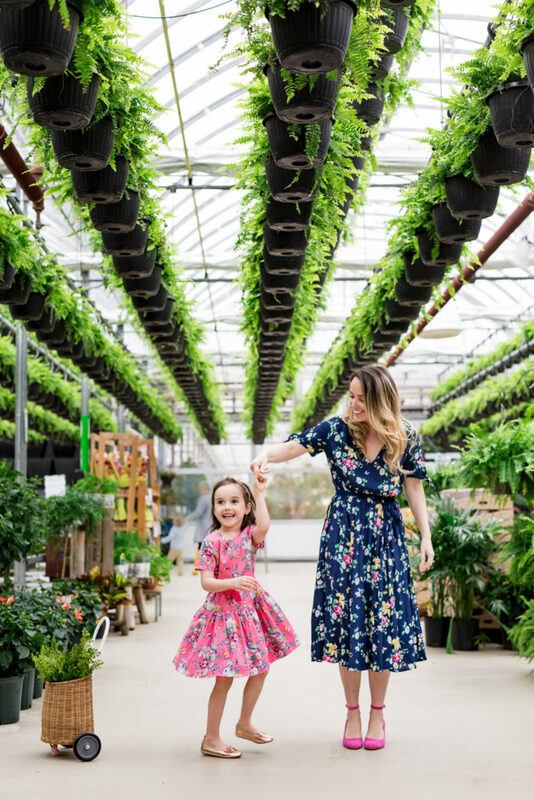 I’m looking so forward to an extra-long weekend spent with the kids and we fully intend to slow things down as a family over the next four days, embracing Easter and all of its springtime magic. 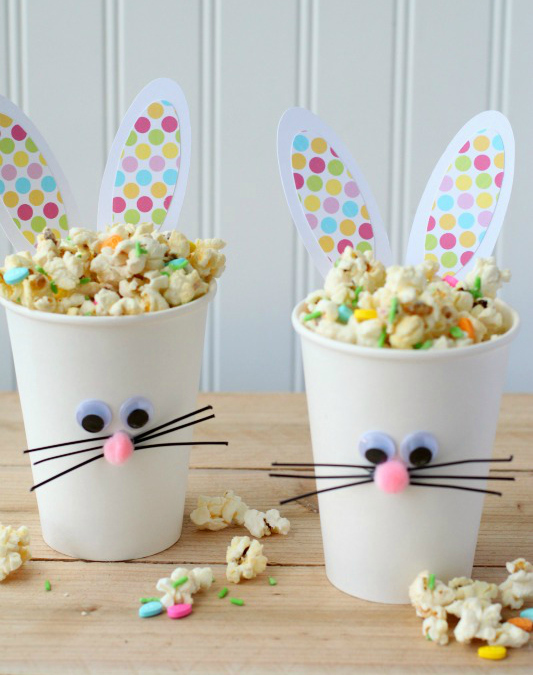 If you’re looking for ways to create some memories with your little “bunnies” over the holiday weekend, here are some of our teams favourite ideas! 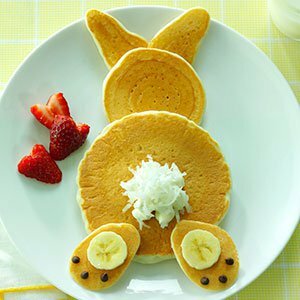 These bunny pancakes look as adorable as they do delicious, Ella and Noah would be thrilled to start their weekend with this yummy breakfast treat. Can you even handle that coconut cottontail?! So sweet. These have to be some of the prettiest Easter eggs I’ve ever seen – and they were created with some of our family’s favourite veggies! 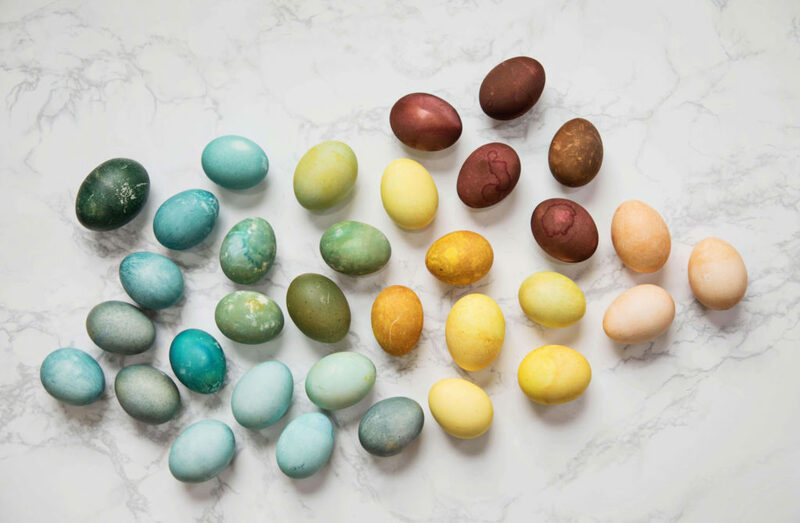 If you’re like me and are on the hunt for a safer alternative to traditional Easter eggs dyes, these eggs were coloured using beets, cabbage, spinach, turmeric, avocados, and black beans! Not only does this fun experiment yield beautifully unique results, but I can totally feel comfortable with the kids’ little hands getting involved! Find the tutorial here. I love spending time in the kitchen with Ella and Noah and we definitely plan to squeeze in some time baking yummy sugar cookies! Let the kids decorate their own and package them up to gift to friends, family, and neighbours! And if you’re looking to add to your cookie cutter collection, we love this 18 piece set and this garden set and we’ve linked to a bunch of our favourites below. 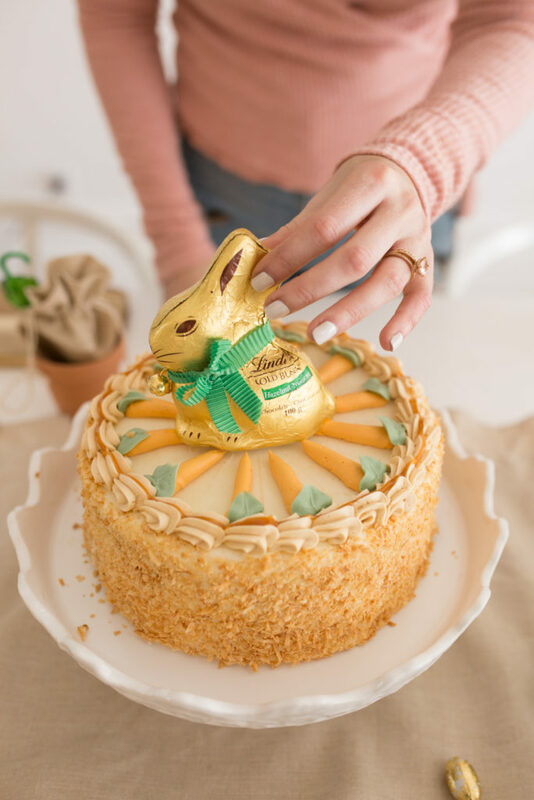 Whether you’re hosting or heading out to celebrate Easter, this Lindt chocolate hazelnut carrot cake recipe is what the Easter Bunny’s chocolatey dreams are made of, it is seriously so delish! We styled an Easter tablescape and included an adorable (and simple!) way to gift Lindt’s coveted gold bunnies to loved ones here. And the best part about adding Lindt treats to your Easter décor or baskets? They can be found last minute at the grocery store – no one has to know how effortless it was to throw it all together! 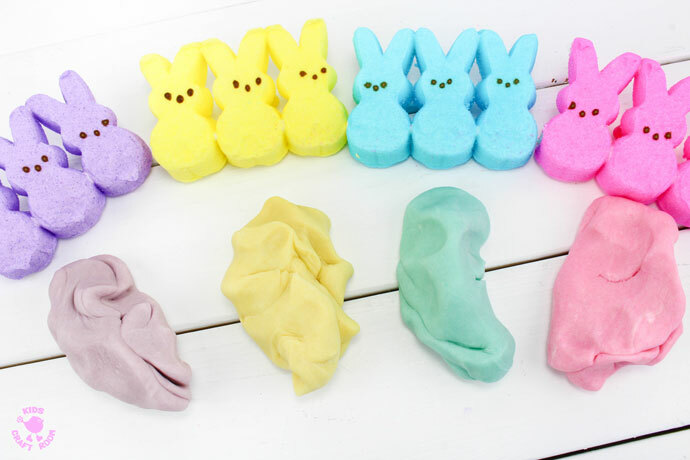 The Easter Bunny won’t be delivering any sugary marshmallow Peeps to our Easter baskets – but I still think this Peeps playdough recipe is a festive activity that the kids can enjoy taking part in. And while I certainly wouldn’t be tempted to have a nibble (my teeth are tingling just thinking about all that sugar), at least you know if your little ones are of the curious kind, this playdough is taste-safe! Craving some delicious Easter themed donuts? You know I am! 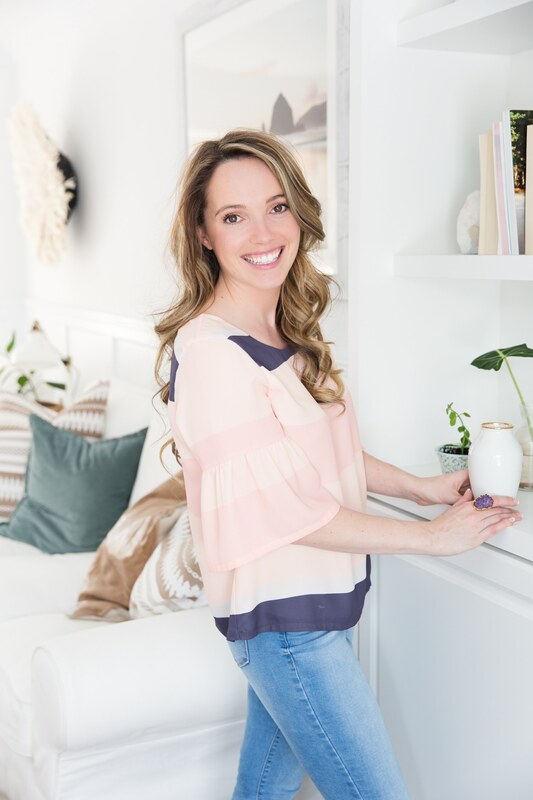 This beautiful DIY by my friend Natalie of My Little Secrets Blog is so swoon worthy, you would have everyone in awe if you showed up with these paste beauties at your next get together! Check out the full post here. This idea has to be my favourite, it’s completely magical! 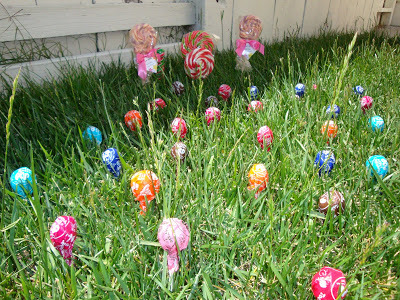 Have your little ones plant a “jellybean garden” and once they’re tucked into bed, sprout lollipops where the jellybeans were planted. But don’t be surprised when your kids are awake before sunrise checking on their sweet little jellybean patch! For a slightly “healthier” option, we opted for these jellybeans and lollipops. Am I the only one who loves dressing my little ones in adorable holiday ensmebles?! There’s no way I’m alone in this, so if you’re looking for festive outfit options for your own “bunnies and chickies,” you can shop some of our favourites at the end of this post. I cannot stop crushing on Ella’s wicker bunny handbag found here. 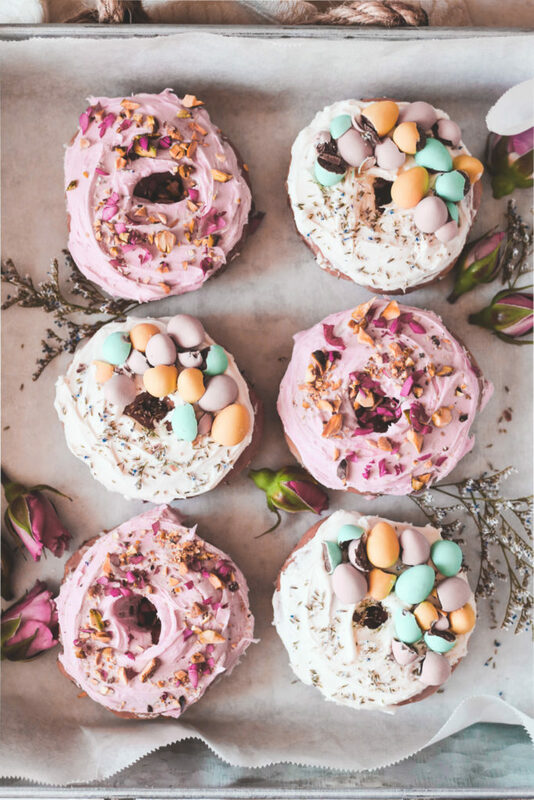 I’d love for you to share what your family plans are for the Easter long weekend (does it include eating mini eggs by the handful? ), we’re always looking for fun and festive traditions to share with the kids. Happy Easter!